Thank you, Tif, for letting me guest post! Hello everyone! 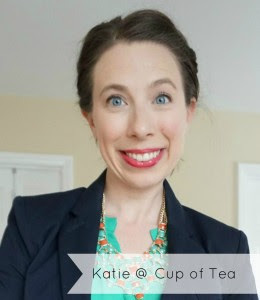 I’m Katie, and my little blog home is over at Cup of Tea. 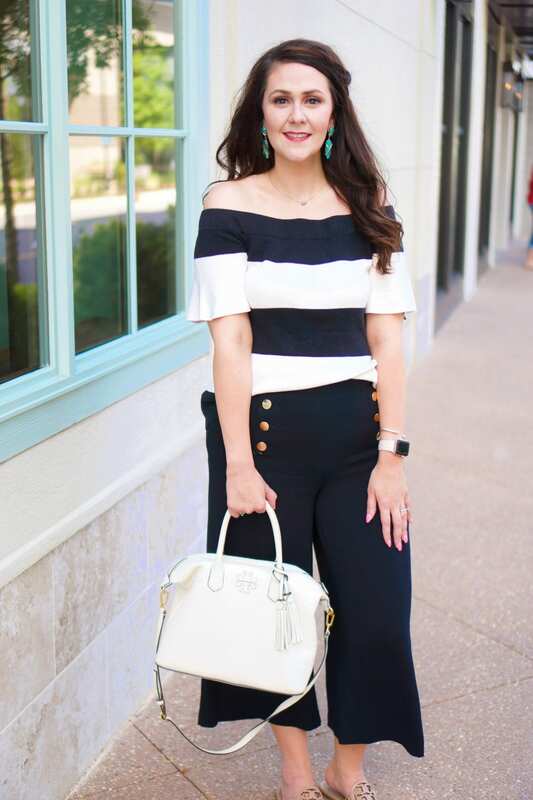 I love to blog about things that are my ‘cup of tea’ – a favorite, can’t live without item! I live in Durham, North Carolina, and I’m a wife and SAHM to our little girl, Elizabeth. And I love tea. Naturally. Every month over on my YouTube channel I love to share what my favorite things have been recently. Sometimes products, sometimes TV shows, sometimes (ok… maybe always) snacks. With Summer already over, it seemed like a great time to recap my favorites that kept me sane throughout the summer. Favorites aren’t even the right word to use to describe them. More like “things I would most want to have on a hot, sticky deserted island”. So I thought, since you all, Tif’s lovely readers, may not actually know me, what better way to get to know me than through a video? Hope you enjoy it! No affiliated or referral links… I’m just not that cool. TRESemme Fresh Start Volumizing Dry Shampoo | This dry shampoo is more volumizing than most, which is really all I want in a dry shampoo. Not to mention being cheap. Rimmel Radiance BB Cream in Light | I’m still blown away by how amazing this is! I always thought BB creams meant low coverage… this has a medium coverage like some of my favorite everyday foundations! And the radiance it has gives the perfect glow. This is my go-to “Don’t want a full face of makeup, but I need to look alive” product. Fresh Sugar Lip Treatment in Coral | For a tinted lip balm, the color is beautiful! It’s a quick and easy way to wake up the face. And the coral color was perfect for Summer. L’Oreal Infallible Pro – Spray & Set Makeup Extender Setting Spray | Seriously, with all the heat and humidity, I needed help keeping my makeup from sliding off my face. This did the trick. Maui Jim Sunglasses | Expensive sunglasses just seem ridiculous. BUT these have changed my life. The lenses are polarized, which means everything looks like your watching something in HD. I will never buy cheap sunglasses again. J Crew Factory striped skirt (stripe sold out, but there are other Fall colors available!) | This was my go-to skirt all summer long! One of those pieces that was easy to dress up or down. Not to mention an elastic waist. Which is perfect at any time of the year. 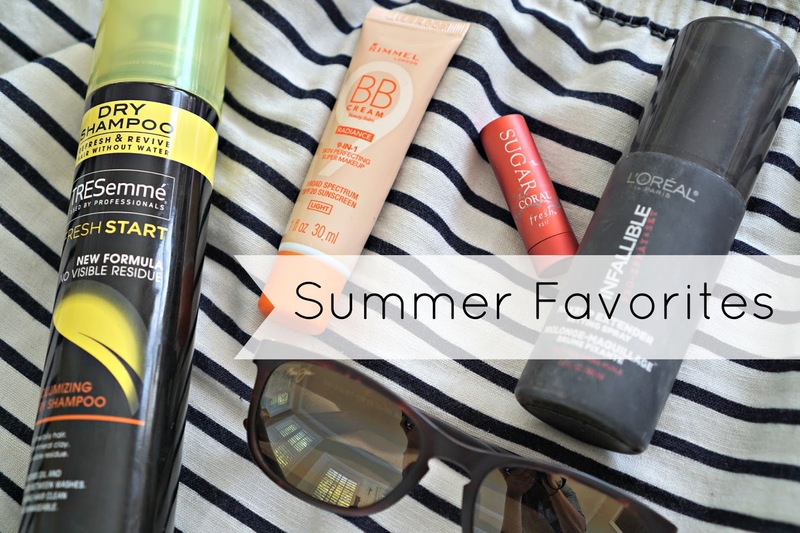 Anything you couldn’t live without this summer? I need to know!